Huckleberry Finn and Tom Sawyer would probably have worn this boot if it had been around back then! 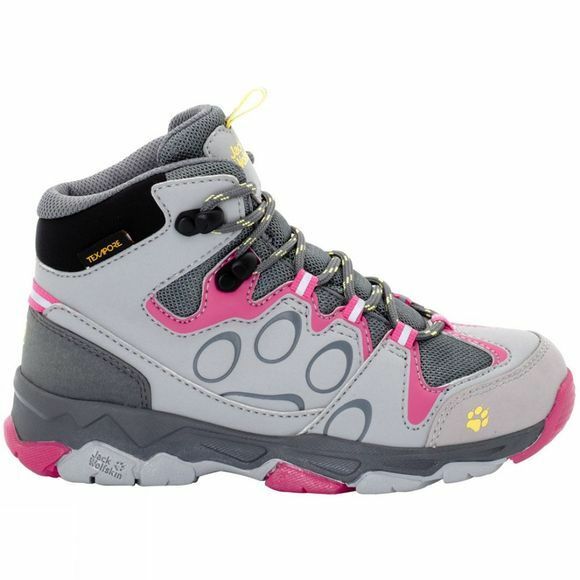 The waterproof Kids Mtn Attack 2 Texapore Mid Shoe from Jack Wolfskin was designed for hiking and other leisure activities. On the river, in the forest and anywhere it happens to be wet, this boot keeps junior adventurers' feet dry–thanks to the waterproof and breathable membrane. The upper extends to above the ankle and provides very good support. And the best bit? The boot is made entirely of synthetic materials and is therefore very easy to clean.